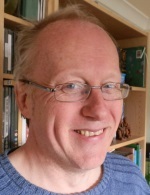 Simon McGrath reflects on the Conference theme and what we might expect in September. This year’s UKFIET Conference takes place two years after the agreement on the Sustainable Development Goals. We are now at a moment where there is a push both to raise the levels of international funding for education that are necessary to support the achievement of SDG4 and to finalise the indicators that will be used to focus efforts around the SDG. The UKFIET Conference offers an important opportunity for the staff of international development agencies, NGOs and consultancies to meet with academics to consider whether we have been heading in the right direction over the past two years or whether there is need for a course correction. What knowledge and skills are needed to promote sustainable human development? What needs to be in the curriculum? Which pedagogies need to accompany such curricular changes, and how can teachers, learners and communities become more empowered as core actors in developing pedagogies for sustainable development? How can teachers (in the broad sense) be enabled to deliver effectively on appropriate approaches to teaching and learning for sustainable development? What implications does this have for initial and continuing professional development? What are the valued capabilities for all youth and adults within the sustainable development agenda? What inputs and interventions are needed to realise these capabilities? What role do different stakeholders, but most especially employers, play in defining and driving a learning agenda for skills and capabilities? How can we use assessment more effectively as a way of both measuring the quality of education and supporting its contribution to sustainable development? What is the right balance between a drive to assess all that matters and a concern about over-assessing? How can we make education more inclusive in terms not just of access but also quality and content? What do we know about the successes and failures of attempts to move from targeted programmes for marginalised groups to sustainable and mainstream approaches? I have been attending the UKFIET Conference for more than 20 years, first attending a few weeks after coming back from doctoral fieldwork. What makes it so special for me is that it is not just another academic conference. Instead, it is where I may be on a panel with, or listening to, a former Minister of Education; a senior current national or international civil servant; or staff from NGOs, thinktanks or consultancies. This diversity makes it less likely that the whole event slips into a group think. There will be people there with whom I strongly disagree, and I will learn new things from surprising sources. When we were thinking about the conference theme, we debated long and hard about doing “another SDG conference”. However, we had a sense that two years after the fanfares died away in New York we would be at a point where very big questions about future direction would remain. We thought too that what actually constituted “quality education and lifelong learning” for sustainable development would be highly contested. Finally, there was a concern that the sloganeering necessary to get the SDG agreed and the technical process of then deciding what would be measured contained a danger of taking education in the wrong direction. Hence, this conference at this moment. I hope you will join us in Oxford in September both to discuss these issues as part of a critical dialogue but also to take that moment to reflect on what needs to be done next in practice. This is clearly an important conference for all interested in developmental issues. A significant conference as well for citizenship education scholars and educators as the conceptualization of citizenship including sustainable citizenship continue to take new forms. Thus all questions informing the conference equally apply to the the field of citizenship education. Citizenship education scholars and educators definitely need to think about knowledge and skills, pedagogies, capabilities and assessment practices needed to advance and foster sustainable citizenship in various contexts. In this exercise, what may work smoothly in one context may not necessarily be suitable in another. However, this should not be a discouragement but rather another important step and point to conceptualize, analyze, evaluate and perhaps theorize sustainable citizenship and citizenship education.